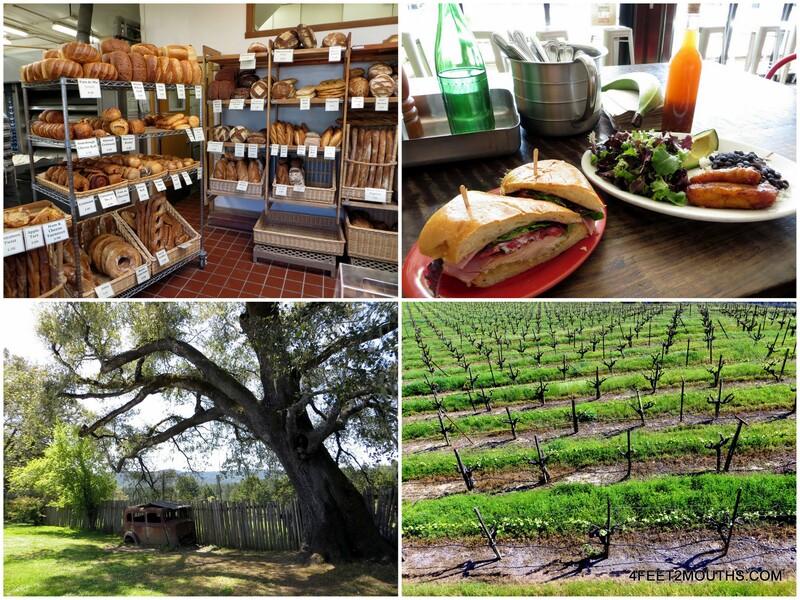 A good start to any road trip: breakfast at Acme, brunch at Sol Food, and Pinot Noir in Anderson Valley. Our blog has been overshadowed by many crazy life events over the the past few months. Obviously returning to the real world after a trip around the world is tough. But…we are bringing the blog back! The next few weeks will be dedicated to bringing our stories to the present. Descending from Anderson valley onto the California coast is a subtle, but exciting experience. 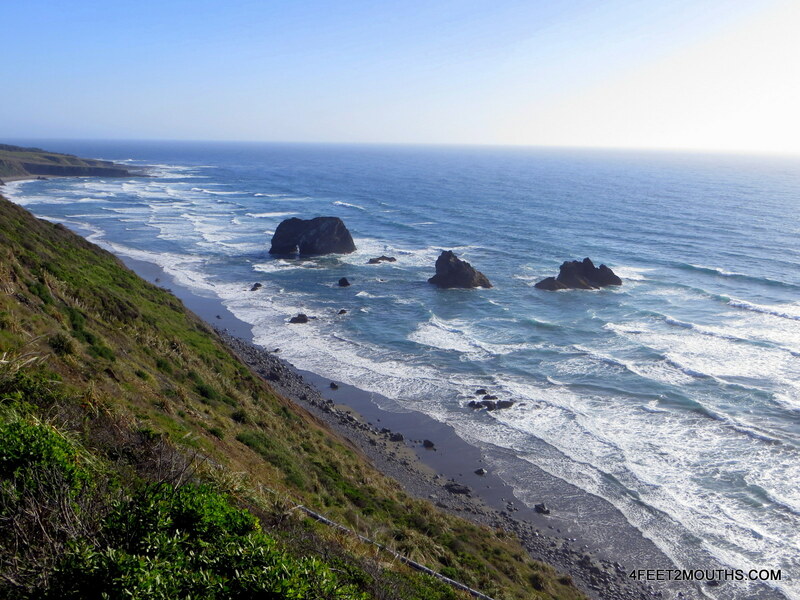 The pinot noir vineyards and patchy redwoods pull away to reveal the jagged and tumultuous Mendocino coast. Highway 128 ends and Highway 1/101 is the only route left to meander is way along the coastline. Carmen celebrating not scraping the mirrors of our rented car! What! A tree you can dive through? Yeah, we did that! Because every good American road trip requires a visit to a 60’s style tourist trap. 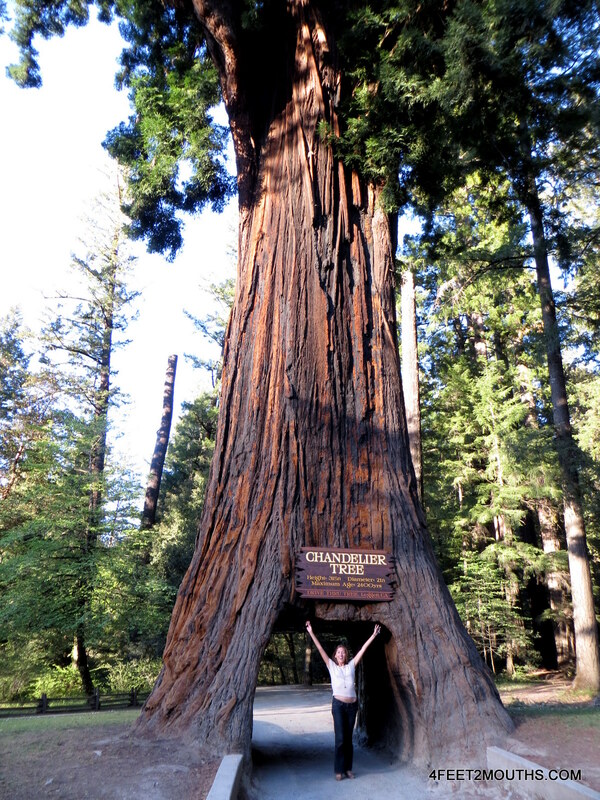 Carmen expertly maneuvered our rented Ford Focus through the Chandelier Tree. 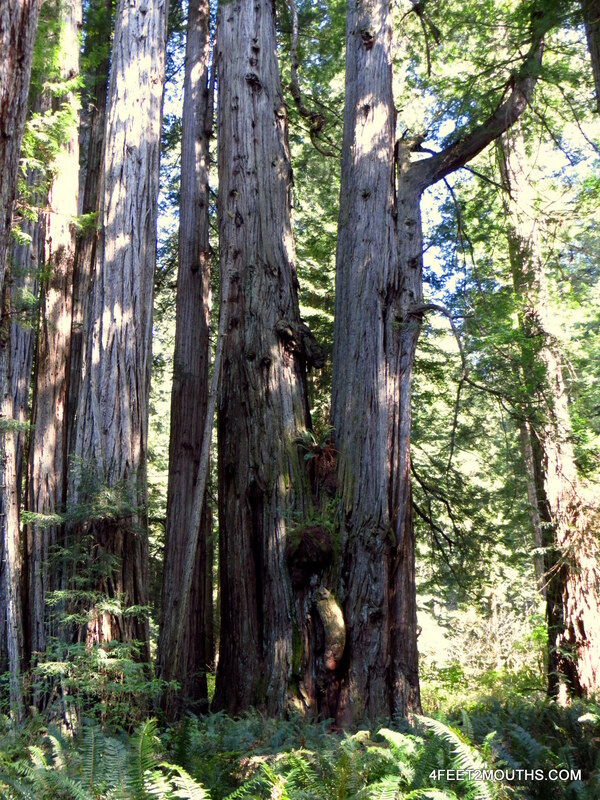 We had now entered the redwood forests of California. 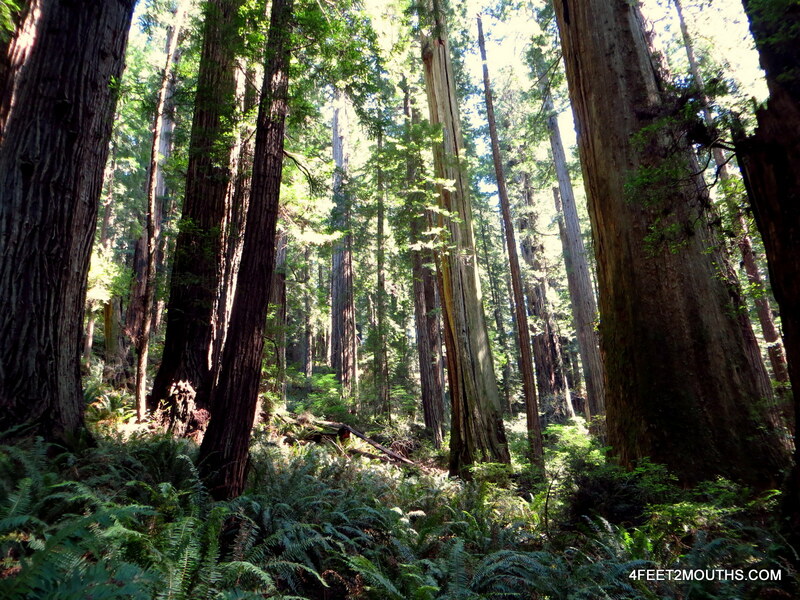 To everyone that has not been to see California redwoods, there are several national, state and local forests that spread throughout California. 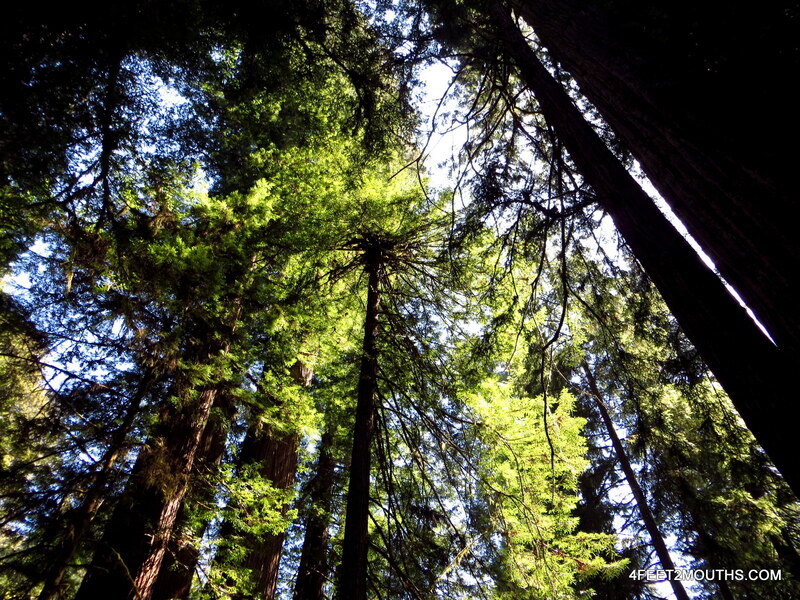 The Northern California coastline boasts the tallest trees in the world, Kings Canyon in Central California, the fattest, but there are redwood forests all over the place. 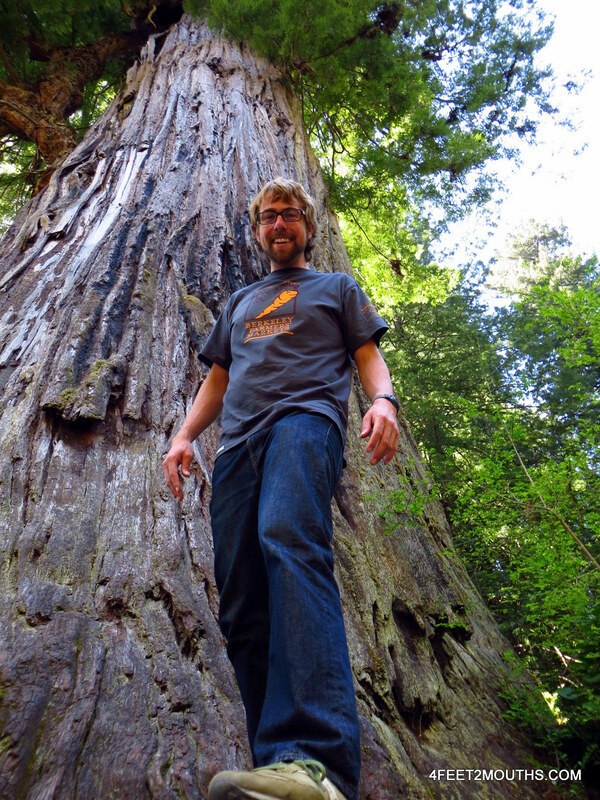 To name a few of just this trip, we saw Hendy Redwoods, Smithe Woods, Richardson Grove, Humboldt Redwoods, Prairie Creek Redwoods, Redwood National Park and Jedediah Smith Redwoods. Each park or forest is can be enjoyed along the drive, but it is the national and state parks that really take the prize for being spectacularly amazing. 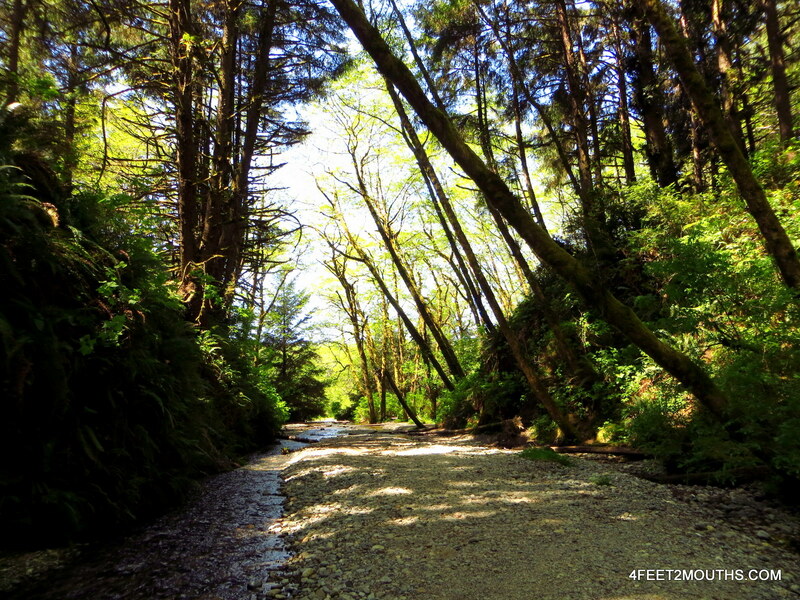 Early in the road trip we had received a recommendation to visit Fern Canyon. 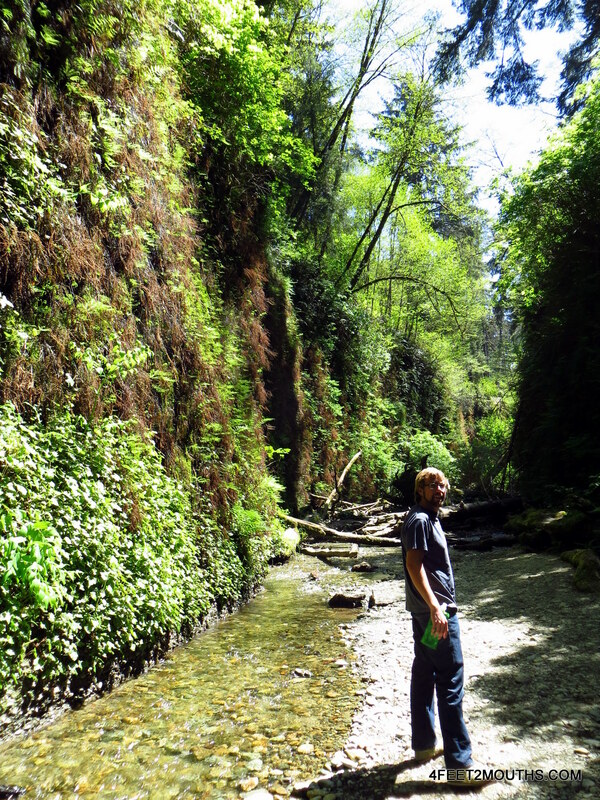 The canyon was formed by a small creek that cuts through the redwood forests, carving a narrow gulley into the hillside. 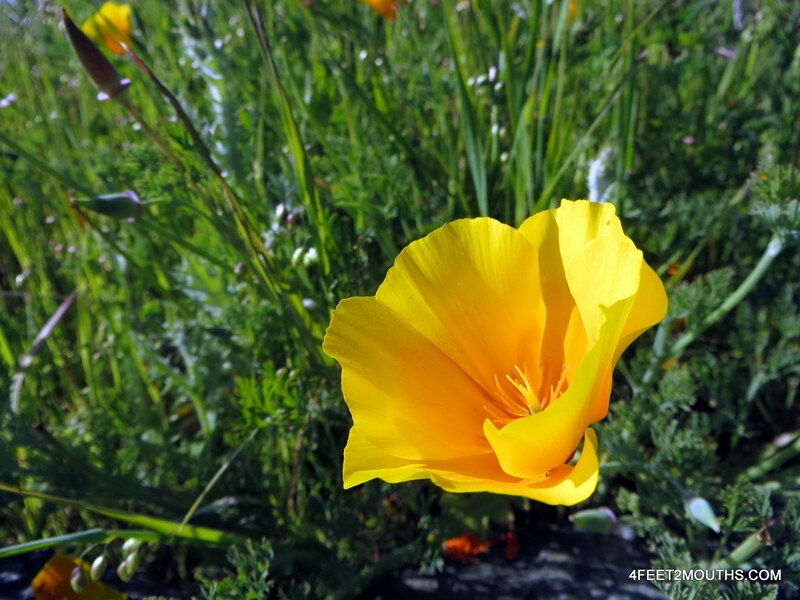 The vegetation is lush, vibrant and dripping with life. It is such an impressive sight that it was used for filming the first Jurassic Park movie. Usually, visiting the canyon has a fee but lucky for us it was free State Park day so we drove right onto the five mile dirt road towards Gold Bluffs beach. The road was in fairly good condition with the exception of a creek that caught us off guard; let’s just say I was happy it was a rented car that jumped that ditch. One amazing thing about the Redwood National Park is that there are a few wild herds of Elk that migrate through the park. Supposedly they like to go swimming in the ocean! 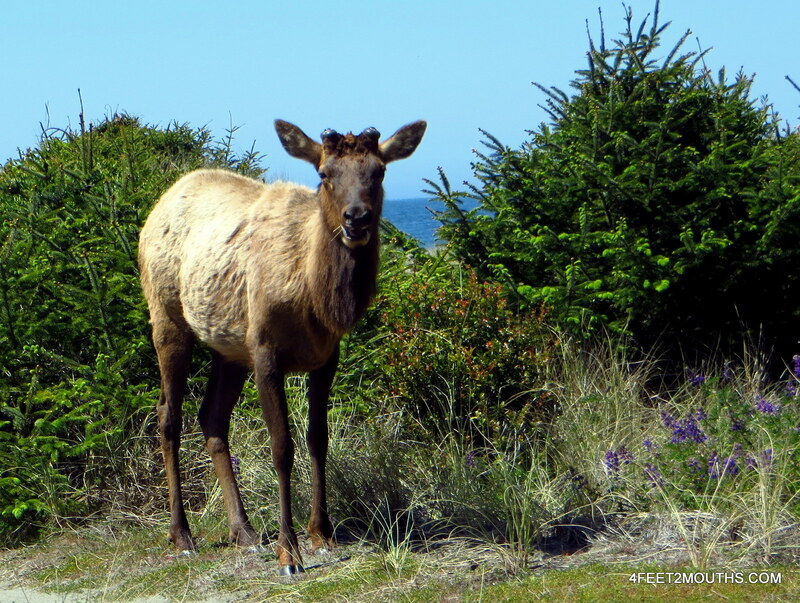 We did not see any elks catching waves, but we did get to see five of them eating shrubs near the beach. This female elk was huge and not at all scared of our presence. Nudist tree? Open for interpretation. 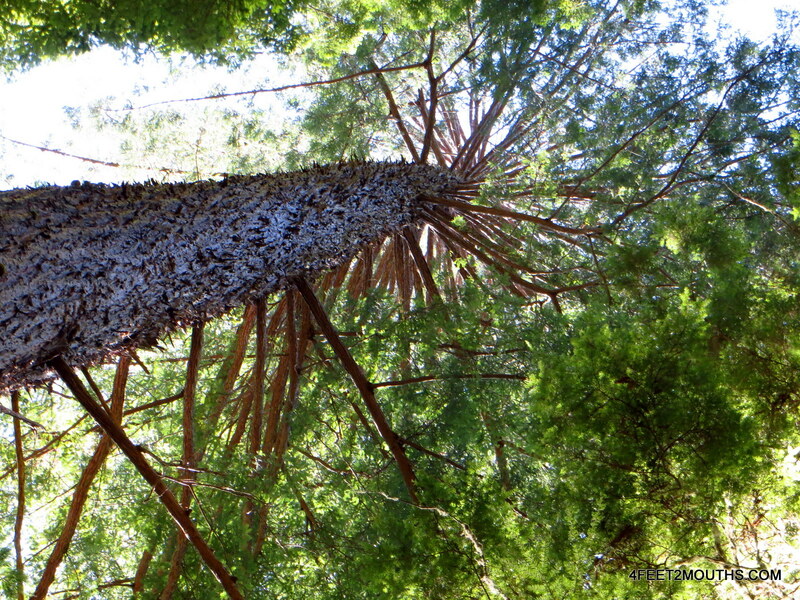 Within the Redwood National Park, we headed towards an excellent and easy hiking loop in the Lady Bird Johnson Grove. This is probably the third or fourth time I have been here in my life and every time I love it. There are a handful of short or long trails that make it easy to fit in a short or long hike during the road trip. We started with just a small loop, but both Carmen and I got excited and we continued to meander through the forests for a few hours. We did see this rather graphic tree, which we dubbed the nudist tree, that continues to make us laugh. Nathan and one “Big Tree! As we hiked up and down the hillside we heard this faint, yet tremendous crash. Somewhere in the distance a tree branch or maybe an entire tower collided into the ground. It was an amazing rumble that of course sparked the existential debate of a fallen tree in a forest absent of listeners. Walking between, around and through these trees creates a similar feeling to exploring a great city. The height, the culture of the environment are something I enjoy through my core. The majestic height of these trees is inspirational to me to design taller and more beautiful buildings. 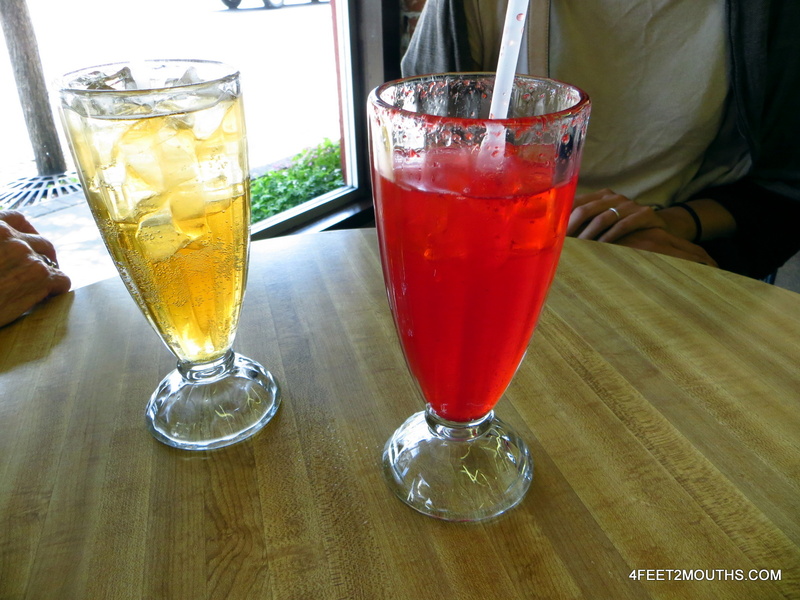 Phosphates for 25cents in Oregon! It was tough, but we dragged ourselves back into the car for another five hour stretch of roadway. The end destination of our trip was southern Oregon. It is always exciting to visit my family here. The city where they live has a small-town feel with a very homey downtown. One of my favorite places on the main street is this old pharmacy that sells phosphate sodas for 25 cents. There is a nostalgic charm that continues to welcome us. Oregon boasts an easy-going tranquility that we rarely have seen in all of our travels. 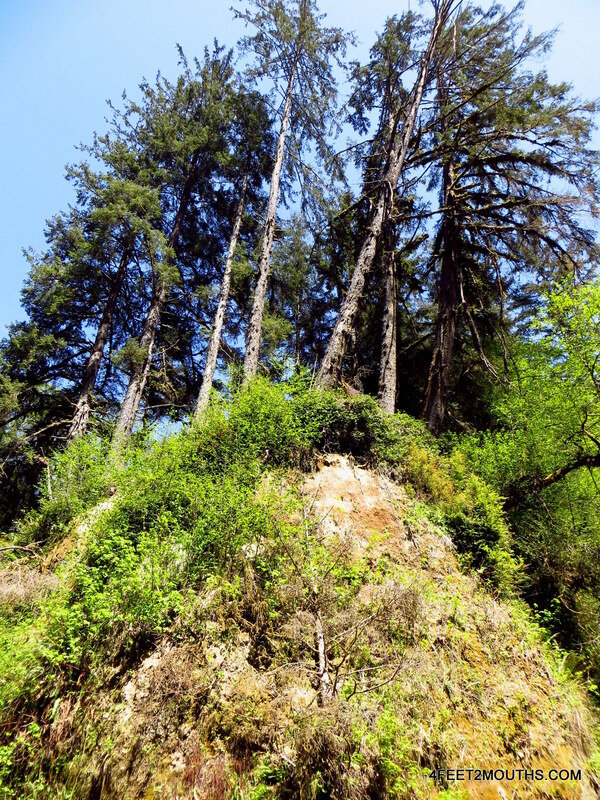 To get out of town for a while my aunt took us on a hike along the Rogue River and in the rolling hills. 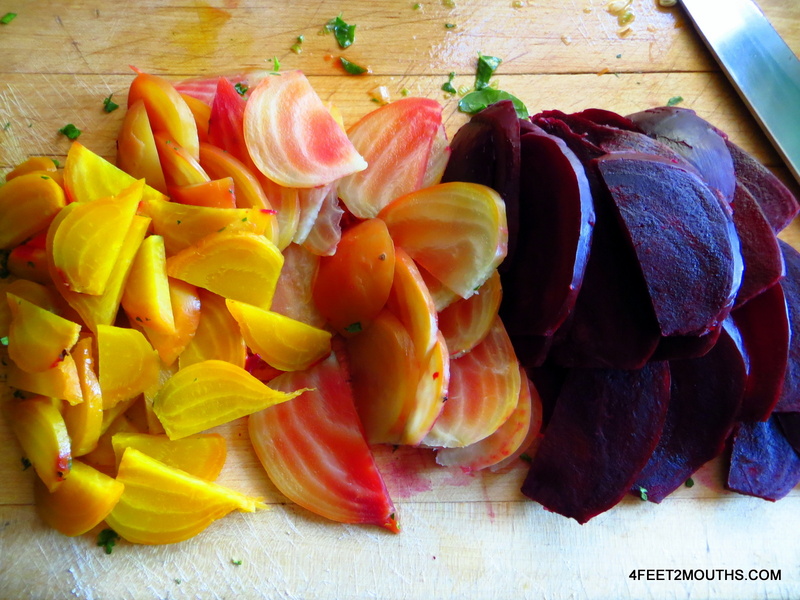 Fresh beets from the farmer’s market. At the time of our visit, the farmer’s market was abundant with local vegetables. 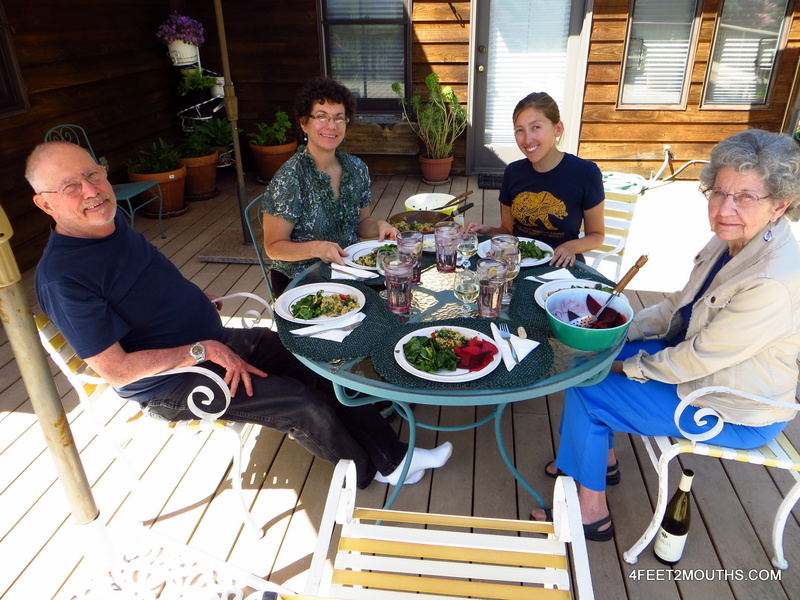 We stocked up on several types of beets and made a delicious salad to enjoy on the deck. It was a spectacular road trip that concluded with great food, sunshine and the wonderful warmth of family.